Background/Purpose: Both the IL-12 and IL-23 pathways have been linked to SLE pathogenesis. The anti-IL-12/23 p40 monoclonal antibody ustekinumab (UST), which is approved for psoriasis, PsA, and Crohn’s disease, was evaluated in patients with active SLE. We previously reported greater improvement with UST vs PBO in several SLE disease measures through wk24.1 Results through 1 year are reported here. Methods: We conducted a phase 2, PBO-controlled study in 102 patients with seropositive SLE, defined by SLICC criteria and active disease (SLEDAI score ≥6 and ≥1 BILAG A and/or ≥2 BILAG B scores). Patients were randomized (3:2) to UST (6 mg/kg single IV loading dose, then 90 mg SC q8w beginning at wk8) or PBO, added to standard care. At wk24, PBO patients crossed over to UST (90 mg SC q8w). The primary endpoint was the proportion of patients achieving SLE response index (SRI)-4 response at wk24. Modified intention-to-treat (mITT) analyses across SLE disease activity measures were performed to evaluate for maintenance of response with UST between wk24 and wk48. Safety was assessed through wk56. Results: SRI-4 response rate was significantly greater (p=0.0057) in the UST group (61.7%) vs PBO group (33.3%) in the wk24 primary endpoint analysis and was sustained at 1 year (63.3%) in the UST group (Table 1). Rates of SLEDAI-2K (65% at wk24 vs 66.7% at 1 year), PGA (67.9% at wk24 vs 75% at 1 year), and active joint (86.5% at wk24 vs 86.5% at 1 year) responses were also sustained from wk24 to 1 year in the UST group (Table 1). CLASI response rate plateaued by wk28 (53.1% at wk24 vs 67.7% at wk28) and was maintained through 1 year in the UST group (68.6%) (Table 1). Among PBO patients who crossed over to UST at wk24 (n=33), 54.5% achieved an SRI-4 response at 1 year. Of UST-exposed patients, 81.7% had ≥1 TEAE, 15.1% had ≥1 SAE, and 7.5% had ≥1 serious infection through 1 year (Table 2). No deaths, malignancies, opportunistic infections, or tuberculosis cases were observed. Safety events were consistent with the known UST safety profile. Conclusion: UST provided sustained clinical benefit in global and organ-specific SLE activity measures through 1 year, with a safety profile consistent with other indications. Thus, UST may be an effective therapy for SLE. Reference: van Vollenhoven R, Hahn BH, Tsokos GC, et al. Efficacy and safety of ustekinumab, an interleukin 12/23 inhibitor, in patients with active systemic lupus erythematosus: results of a phase 2, randomized, placebo-controlled study [abstract]. Arthritis Rheumatol. 2017 ; 69 (Suppl 10). CLASI, Cutaneous Lupus Erythematosus Disease Area and Severity Index; mITT, modified intention‑to‑treat; PBO, placebo; PGA, Physician Global Assessment; SLEDAI-2K, Systemic Lupus Erythematosus Disease Activity Index 2000; SRI-4, SLE Responder Index-4; UST, ustekinumab; wk, week. All data are presented as n (%). DCAE, adverse event leading to discontinuation; PBO, placebo; PBO-UST, patients who crossed over from PBO to UST at wk24; SAE, serious adverse event; TEAE, treatment-emergent adverse event; UST, ustekinumab; wk, week. Disclosure: R. van Vollenhoven, Janssen Research & Development, LLC, 2; B. H. Hahn, Janssen Research & Development, LLC, 2; G. C. Tsokos, Janssen Research & Development, LLC, 2; C. Wagner, Janssen Research & Development, LLC, 3; P. Lipsky, Janssen Research & Development, LLC, 2; B. Hsu, Janssen Research & Development, LLC, 3; M. Chevrier, Janssen Research & Development, LLC, 3; R. Gordon, Janssen Research & Development, LLC, 3; K. H. Lo, Janssen Research & Development, LLC, 3; M. Triebel, Janssen Research & Development, LLC, 3; K. Fei, Janssen Research & Development, LLC, 3; S. Rose, Janssen Research & Development, LLC, 3.
van Vollenhoven R, Hahn BH, Tsokos GC, Wagner C, Lipsky P, Hsu B, Chevrier M, Gordon R, Lo KH, Triebel M, Fei K, Rose S. Efficacy and Safety of Ustekinumab, an Interleukin-12/23 Inhibitor, in Patients with Active Systemic Lupus Erythematosus: 1-Year Results of a Phase 2, Randomized Placebo-Controlled, Crossover Study [abstract]. Arthritis Rheumatol. 2018; 70 (suppl 10). 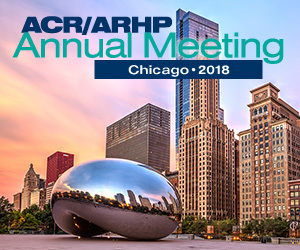 https://acrabstracts.org/abstract/efficacy-and-safety-of-ustekinumab-an-interleukin-12-23-inhibitor-in-patients-with-active-systemic-lupus-erythematosus-1-year-results-of-a-phase-2-randomized-placebo-controlled-crossover-study/. Accessed April 20, 2019.